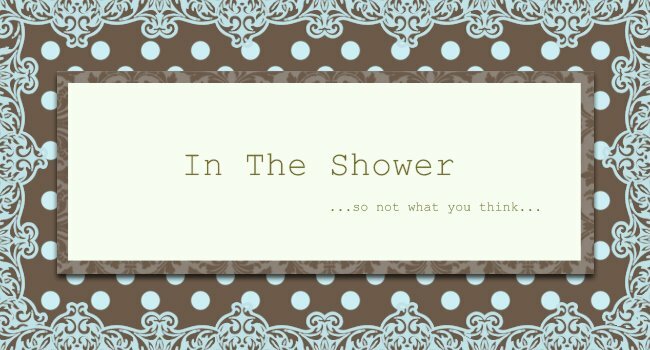 Summerr In The Shower: Packed Weekend! Super excited for the weekend dudes! So much to look forward to! Catch the OMGers in person tomorrow at the OMG! Roadshow at Bukit Panjang Plaza, Level 2. The last roadshow at Jurong Point was tons of fun, loads of giveaways and impromptu chit chat with the contenders plus they'll also be performing something specially for the roadshow. So make a date with the Danny Koh, Desert Roses, Jill-Marie Thomas, Luminiq Crew, Singapore Char Siew Baos!, Vertical Dancers and newbies Jigri Yaar at BPP tomorrow, 3pm! Be there or be square! Now that I've met Debbie Gibson in person, I'm even more psyched to go watch her perform tomorrow at Fort Canning! 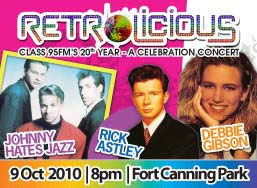 Its Class 95's Retrolicious concert peeps! If you haven't bought your tickets, don't wait no more, organisers told me on Wednesday that not very many are left. Head to a Sistic outlet nearby asap! Come dressed in your best 80s garb. The last time I attended a Debbie Gibson concert was when I was 12 and back then she was already a force to be reckoned with. Even if you didn't grow up with Debbie, Rick and Johnny Hates Jazz, you'll know their music (especially if you Mambo at Zouk often), so come on down to Fort Canning tomorrow night! This one I'm also looking forward to. On 10.10.10 at 10pm (this Sunday at 10pm in case you're duh! ), Channel 5 has decided to do a Noose special just for us. Handpicked skits taken from Season 1, 2 and 3 will be aired at 10pm on Channel 5 this Sunday - definitely not be missed, sure to be a ROTFLMAO good time! Great way to wind down the weekend and rev up for the week to come! Check out the trailer at Channel 5's facebook page here! Looking forward to OMG's Lights, Camera, Action! theme next week! Ok, I'm out for today - hope to catch you guys at the Roadshow and Retrolicious tomorrow! Wheeeeeeee! I will make sure to bookmark it and come back to read extra of your useful information. I've put in Samsung Universal vehicle driver first. And now my ml-1210 does not function and gain 8 limiting me from transforming its vehicle driver to ml-2250, pointing out that present (not operating) driver is the much better one. How did you took care of this? Please do not ever file the gunk off from your soldering iron ! !!!! You can RUIN it !!!. wipe it for a wet spongue or a metal scrubie. min .or maybe more . I plug my iron in to a power strip together with a radio attached to exactly the same strip , leave the air switched on. The all circuit in this websites is very intereting i attempt it Im also a B.
e(electronics)pupil this website is really good. I discovered something that operated! Many thanks for your blog post . free of cost download vista driver.